Originally from the East Coast, Desiree decided it was time to explore the Pacific Northwest and that is how she landed at Training Day! Her first steps into a CrossFit Box was in Guam, USA. After falling in love with being an "athletic generalist" she obtained her CrossFit Level 1 Certification in August 2015, is also CPR/AED certified. It was her goal to help grow the CrossFit community in Guam by helping people become the best versions of themselves. 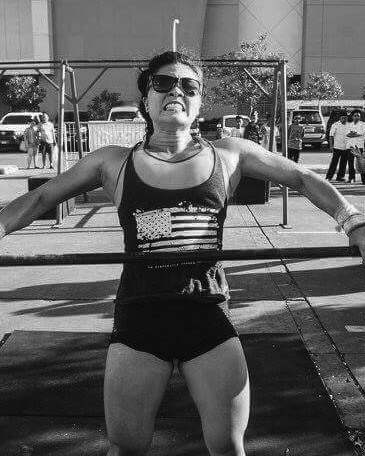 She started coaching at Crossfit Andersen in Guam where she experienced the thrill of competing in individual and team competitions. An opportunity arose for her to spend time in her mother's home town of Iloilo, Philippines to help jump start a local fitness gym. Desiree coached functional fitness for Storm Fitness Club during her 6 months stay in the Philippines. Desiree loves being part of the CrossFit Community and knows how important it is to have a family away from home.